The UAE capital is set to welcome thousands of oil and gas professionals, industry leaders, and decision makers as the world’s most influential oil and gas event, the Abu Dhabi International Petroleum Exhibition and Conference (ADIPEC), begins its 20th edition today (Monday, 13 November). 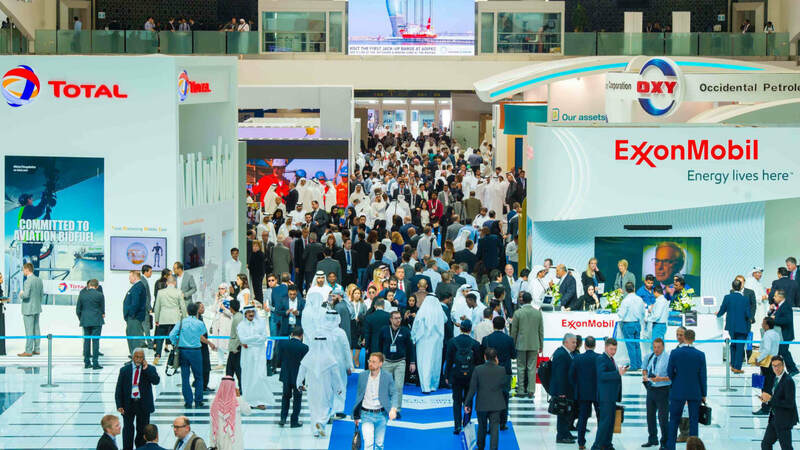 Held under the theme ‘Forging Ties, Driving Growth’, ADIPEC’s 20th edition will be the largest yet, with an exhibition bringing together more than 2,200 exhibiting companies, 27 country pavilions, and 100,000 trade professionals from more than 125 countries. The exhibition will span 135,000 square metres of floor space, including a dedicated quay-side exhibition area with tours of offshore vessels. At the same time, ADIPEC’s renowned strategic and technical conference programmes will feature more than 900 speakers, in 185 conference sessions, with around 10,000 delegates taking part in the global industry’s premier knowledge exchange platform. For the first time, the exhibition and conference will include the downstream petroleum industry, including refining and petrochemicals, alongside its established focus on upstream and midstream businesses. Hosted by the Abu Dhabi National Oil Company (ADNOC) and organised by dmg events, ADIPEC will commence with the official Opening Ceremony, which includes keynote presentations by H.E. Dr. Sultan Ahmed Al Jaber, UAE Minister of State and ADNOC Group CEO; H. E. Suhail Mohamed Al Mazrouei, Minister of Energy, United Arab Emirates; H.E. Mohammed Barkindo, Secretary General, Organization of the Petroleum Exporting Countries (OPEC); and Lord Jim O’Neill, former Commercial Secretary, HM Treasury, UK Government. The ADIPEC Conference Programme, one of the world’s largest and most influential speaking platforms for the oil and gas industry, will invite government decision makers to the stage in the first of two Ministerial Panels, which will focus on creating energy opportunity through foresight, vision, inspiration and innovation. Ministerial speakers on Day One include H.E. Suhail Mohamed Al Mazrouel representing the United Arab Emirates; H.E. Tarek El Molla, Minister of Petroleum and Mineral Resources, Arab Republic of Egypt; H.E. Mohammed Hamad Al Rumhy, Minister of Oil and Gas, Sultanate of Oman; H.E. Dr. Ibe Kachikwu, Honourable Minister of State for Petroleum Resources, Federal Republic of Nigeria; and the Honourable Dr. Fabian Pok, Minister for Petroleum and Energy, Papua New Guinea. ADIPEC’s opening day will also feature two Global Business Leader sessions with speakers including Patrick Pouyanne, Chairman and CEO, Total; Bob Dudley, Group Chief Executive, BP; Tan Sri Wan Zulkiflee Wan Ariffin, President and Group Chief Executive Officer, Petroliam Nasional Berhad (PETRONAS); Vagit Alekperov, President, Member of the Board of Directors, Chairman of the Management Committee, Lukoil; Musabbeh Al Kaabi, CEO, Petroleum and Petrochemicals, Mubadala Investment Company; José Antonio González Anaya, CEO, PEMEX; Alexander Medvedev, Deputy Chairman, Management Committee, Gazprom; and Dr. Rainer Seele, CEO, OMV, offering a world outlook for the oil industry. Topics will reflect the two elements of the ADIPEC 2017 theme. For ‘Forging Ties’, the emphasis will be on fostering relationships and creating business models for success, while for ‘Driving Growth’, CEO speakers will focus on pioneering strategies and breaking boundaries for global success. Two C-suite Dialogues will complete the daytime programme, with live-on-stage interviews and interactive panels bringing the latest critical C-suite discussions to the forefront of the industry, including a keynote address and audience with Lord Jim O’Neill, former Commercial Secretary to HM Treasury, UK Government. For members of the Middle East Petroleum Club – the exclusive venue for VIP attendees, including senior government and business figures at ADIPEC – H.E. Mr. Barkindo, Secretary General of OPEC, will also launch the 2017 World Oil Outlook. The comprehensive report, now it its 11th edition, will offer a thorough assessment of the trends and challenges for the medium and long-term development of the industry. In the evening, the annual ADIPEC Awards will announce the 2017 winners of the prestigious accolades during a Gala Dinner at The Ritz-Carlton Abu Dhabi. The distinguished awards recognise individuals, companies, and projects that demonstrate excellence, best practice, and innovation in energy from around the globe. ADIPEC 2017 will continue on Tuesday, when sessions for the Security in Energy conference, Offshore and Marine Plenary Panels, Downstream Global Business Leader sessions, and exclusive Executive Dialogue sessions for members of the VIP Middle East Petroleum Club all commence.